Robert Oster Darkstar Blue is exclusive to The Darkstar Collection. 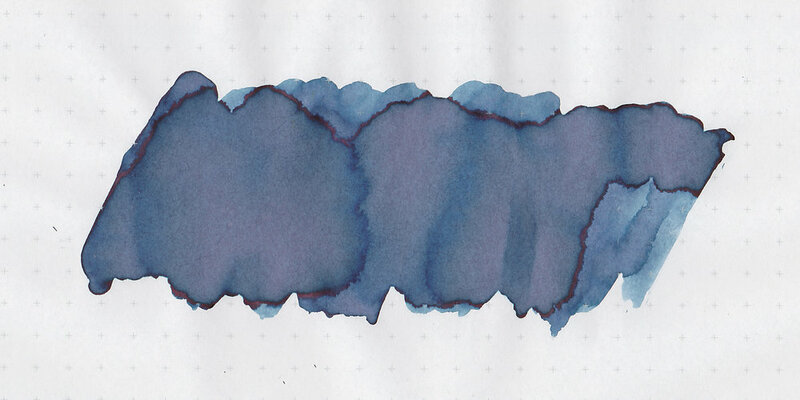 I really wanted to try this ink but couldn't get my hands on a sample so I put a request out on the Pen Addict Slack channel. Thank you to @tinybadge on Instagram for sending a sample over. 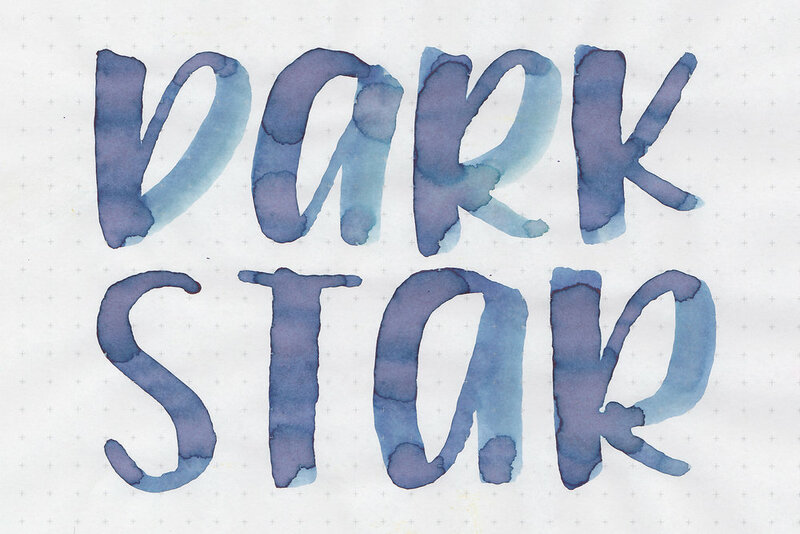 Darkstar Blue is a beautiful dark blue with a purple undertone. When pooled there is a tiny bit of dark pink sheen around the edge, but not much. The sheen is not visible in writing. Other properties: Medium shading, a tiny bit sheen, and no shimmer. The sheen is only visible in large swabs on Tomoe River paper. Ink swabs for comparison, left to right (top to bottom for mobile RSS): Robert Oster Evening Sapphire, Robert Oster Darkstar Blue, and Robert Oster Midnight Sapphire. Click here to see the Robert Oster inks together. Evening Sapphire is lighter than Darkstar Blue, but Midnight Sapphire seems very close to Darkstar Blue. Robert Oster Blue Night, Rohrer and Klingner Salix, and Birmingham Pens Observatory Celestial Blue. Click here to see the blue inks together. I used a medium Pelikan M400 White Tortoise on Tomoe River paper. The ink had a nice wet flow. Overall, I really love this ink. The shading is great and the color is beautiful. Give it a try, you might love it. Disclaimer: This ink sample was provided by a pen friend. All photos and opinions are my own. There are no affiliate links on this page.